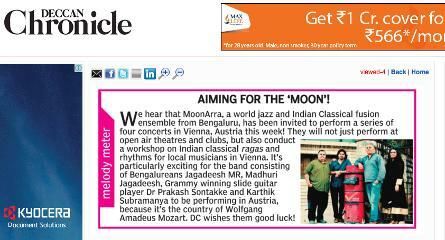 MoonArra's concert tour of Vienna-Dublin from July 21-July 27 featured 5 concerts and a music workshop. Concerts at Vienna Au, Kulturezene Kottingbrunn, Cafe Concerto club and culminating at the historic Baden. 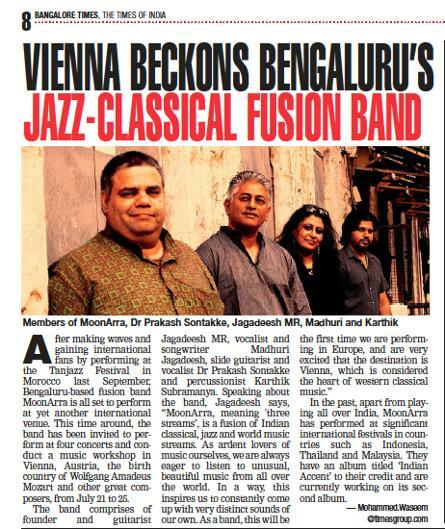 After Baden Madhuri and Jagadeesh went on to Dublin, Ireland where they were featured at JJ's,as a duo along with 3 other artists from Finland, Italy and Dublin. Thanks to Peter Natterer, John Morissey of Hotel Palindrone, Vienna. Promilla Shaw and Honor Heffernan of Dublin.